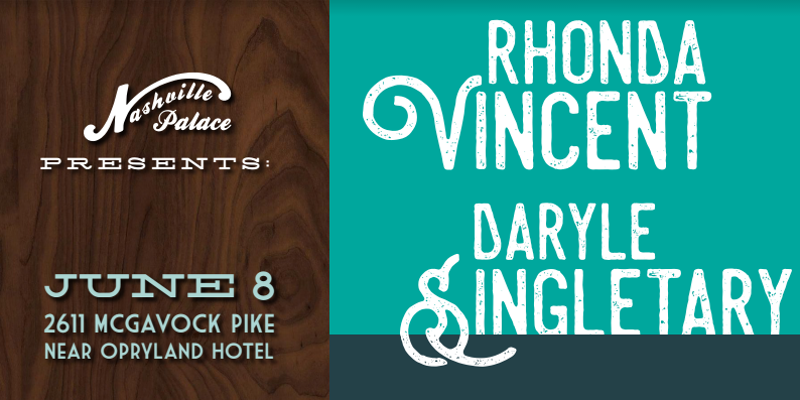 RHONDA VINCENT & DARYLE SINGLETARY at the Nashville Palace June 8th! 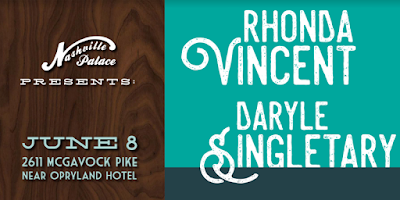 This is sure to be an excellent show filled with traditional country music! If you aren't going to the stadium show this is definitely worth checking out!